You've got training. Certifications. Education. You've even packed a lunch. But your phone isn't ringing. Could the problem be your resume? See, you're not the only sub in the area. On the principal's desk, near his magnetic buckyballs toy and his copy of Take the Bully By the Horns, is a computer with a dozen resumes. The bad news? Yours is the worst one. We're about to fix that. A substitute teacher resume example better than 9 out of 10 other resumes. How to write a sub teacher resume that will land you more interviews. Tips and examples of how to put skills and achievements on a substitute teacher resume. How to describe your experience on a resume for a substitute teacher to get any job you want. Here's a sample resume for a substitute teacher made using our resume builder. Sub Teacher Resume Example - See +20 resume templates and create your resume here. What's the Best Format for a Substitute Teacher Resume? Say hello to Joe, the principal. He's got a mug that says, "I turn coffee into education." He's also got a strong dislike for sloppiness. A poorly formatted substitute teacher resume will find its way to his recycle bin without the chance for make-up work. Choose a respected format like the reverse-chronological layout. It respects Joe's time by showing your best qualities up front. Use eye-friendly headings and clear, legible fonts. Make strategic use of white space to give the reader little rests. Finally, save your resume for substitute teaching in the PDF format. It keeps the layout from going remedial once it hits the principal's machine. Pro Tip: PDFs are always best, but check the job description to make sure they're not forbidden. Some Applicant Tracking Systems choke on substitute teacher resumes saved as PDFs. Want to see your other options for the best substitute teacher resume format? 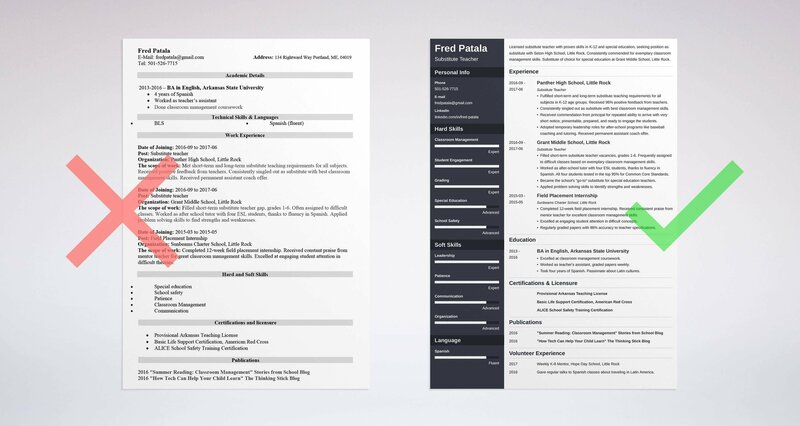 Check out our guide: "3 Resume Formats: How to Choose the Best One [Examples]"
"Wow. I'd better give this resume a careful read." How can you make the principal say that? You can do it with a well-written resume summary or resume objective. Use a resume summary if you've got busloads of experience. Use a resume objective if your experience rides the short bus. Substitute teacher, K-12. Skilled in special ed and classroom management. Have worked at Grant Middle School in Little Rock. It's like a bad school lunch: It looks impressive, but you're hungry again soon. Licensed substitute teacher with proven skills in K-12 and special education, seeking a position as a substitute with Seton High School, Little Rock. Skilled in special ed, student engagement, and grading. Consistently commended for exemplary classroom management. Chosen as the preferred substitute teacher for special education at Grant Middle School in Little Rock. And boom. The principal just added you to his "call first" roster. Can't scrape up an experience list like that? You can still impress. Look at the following substitute teacher resume samples (with no experience). A substitute teacher with no experience can still make the grade. Write an objective statement for any first time substitute teacher resume. New substitute teacher. I don't have much experience yet but I'm a very fast learner. That's the resume equivalent of a book report that doesn't even use the Cliffs Notes. Enthusiastic licensed substitute teacher, seeking to further education excellence at Seton High School. Excelled at classroom management coursework at ASU and graded papers weekly as a teacher's assistant. Certified in Basic Life Support and ALICE School Safety Training. Weekly K-8 Mentor, Hope Day School. The substitute teacher resume example above has proven that you've got the goods. And after all, what is a supply teacher who can't supply? Pro Tip: Your substitute teacher resume objective or resume summary is the finishing touch. Write it last so you'll have plenty of material. You're a substitute. You're just starting out. That means the experience section on your substitute teacher resume doesn't matter. Even if you're not experienced, you still have to prove that you can do the job. Luckily, there's a way to do just that. List your most recent experience first. Then add achievements from past positions that show you have a teacher's heart. But exactly how do you list substitute teaching on a resume? The first of our two substitute teacher resume samples gets high marks. It mixes substitute teaching responsibilities deftly with achievements. Fulfilled short-term and long-term substitute teaching requirements for all subjects in K-12 age groups. Received 96% positive feedback from teachers. Consistently singled out as substitute with best classroom management skills. Received commendation from principal for repeated ability to arrive with very short notice, presentable, prepared, and ready to engage the students. Adopted temporary leadership roles for after-school programs like baseball coaching and tutoring. Received permanent assistant coach offer. See that? No teaching experience, but at the same time, plenty. That's the kind of substitute teacher resume you want to write. It's like a classroom on a snow day. No class. But all it lacks is measurable details. 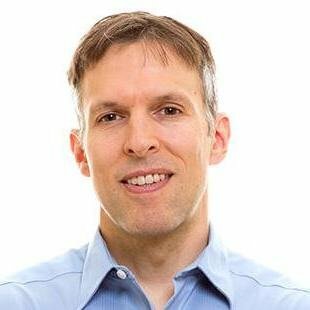 What Experience Is Better on a Resume? Substitute Teacher or Teacher Aide? Are you subbing to transition to full-time teaching? Are you wondering whether putting subbing on a resume will get the job? Does subbing actually look bad on a resume? The truth is, adding substitute teaching to a resume won't hurt your chance to get a teaching job. Full-time looks better, but subbing beats a resume gap or bartending. After all, the duties of a substitute teacher are basically the same as full time. So go ahead and tout your subbing chops. Your substitute teacher resume will look a little different if you're hunting full-time work vs continued subbing. Namely, fine-tune each experience bullet point, education achievement, skill, and hobby to match the job description. If you're looking for more subbing, choose details that show you're good in a pinch, dependable, and skilled at teaching. In short, prove you are a "save-the-day" type education pro. If transitioning to full-time teaching is your aim, pick details that prove your staying power too. As a substitute teacher, you face a unique problem. Subbing isn't a "job" like other jobs. It's not 40 hours a week. It's not regular, with benefits. So how do you write a job description for subbing on a resume? Subbed for English, Biology, and Algebra classes. Graded 100% of all quizzes assigned by long-term teachers. Updated lesson plans to reflect changes in curriculum. Received frequent commendations from teachers for attention to detail. Filled in for soccer coach at regular practices. Increased student participation in drills by 20%. You don't need to say the days per month or year you subbed. That is, unless you subbed so many days that it'll make the principal's eyes bug out. Subbed a total of 50 days in a single year. Pro Tip: You can build a lot of substitute teaching experience, very fast. Even a few weeks at different schools or a couple volunteer positions can give a resume a lot of heft. Don't put the principal to sleep with boring language in your substitute teaching resume. Wake him up with action words. Check out our guide: "+80 Examples of Resume Action Words for Every Profession"
What kind of education do you need to be a substitute? Either way, simply plunking down your education on your substitute teacher resume is a big mistake. Because it's like buying a nice new MacBook pro, then just using it for Minecraft. It can do so much more. Then include details that fit the job description like a custom-tailored suit. In the following samples, note the difference between custom-fitting and generic education. Excelled at classroom management coursework. Worked as teacher's assistant, graded papers weekly. Took four years of Spanish. Passionate about Latin cultures. That's not an entry level substitute teaching job applicant. It's Booker T.
Washington with a set of whiteboard markers. Now look at our next substitute teacher resume example. Can you spot what's missing? Graduated with a 3.4 GPA. Remember Joe, our principal? He just hit "delete." What you want is details and achievements. Add some numbers, and you shall be crowned king. Pro Tip: Anyone can tailor a substitute teacher resume to a job description. What did you excel at? What classes were you passionate about? Did you ever tutor other students or gain relevant experience? Want more tips to get your substitute teacher resume's education section up into the A+ zone? See our guide: "How to Put Your Education on a Resume [Tips & Examples]"
For a substitute teacher, skills are everything. Are you competent at K-12 instruction? Teaching at-risk students? The all-important "classroom management?" All of the above? Which skills should go on resumes for substitute teachers? What order should you put them in? First, read the substitute teacher job description. Then, showcase those skills in your resume. Classroom management, grading, technology, patience. Classroom management, patience, compassion, grading, special education, technology. Filled short-term substitute teacher vacancies, K-12. Frequently assigned to difficult classes based on exemplary classroom management skills. Worked as after-school tutor with four ESL students, thanks to fluency in Spanish. All four students tested in the top 95% for Common Core Standards. Became the school's "go-to" substitute for special education teachers. Received three thank-you cards from teachers for always grading student work. Now you're not just saying that you have the skills. You're proving it. Do the same thing with your education section for the gold star. Use the substitute teacher resume skills list below to build your resume. Then look online at a few substitute teaching job descriptions to get more. Follow the advice above, and your substitute teacher resume will go from detention to the honors program, fast. Add "classroom management" high in the skills list of your substitute teacher resume. Classroom management is often listed as the single most important skill for a teacher to have. Pro Tip: Sometimes there's no substitute teacher job description. If you're applying sight unseen, network. Meet key people in the school you'll be applying to, then learn what skills they value. Want to give your substitute teacher resume skills section some extra credit? See this guide: "+30 Best Examples of What Skills to Put on a Resume (Proven Tips)"
Joe, the principal, just hit delete. He didn't even look at your great substitute teacher resume! In fact that's common. Most hiring managers spend six seconds with each resume. In your case though, you goofed how you displayed your certification. Joe didn't see it, so he assumed you weren't qualified. Don't let Joe make that mistake. Not every school requires certification. But when they do, you have to display it the right way on your substitute teacher resume. If you don't, you might as well be showing up for class in nothing but your underwear. First, put your certification in your title. Then add it to your resume summary or resume objective. Last, show it in a special certifications section, below your education section. Is that overkill? Not at all. It lets Joe see you're qualified without a lot of hunting. That gives you more time to convince him you're the best sub for the job. Pro Tip: The certification required on a substitute teaching resume isn't governed by state. Contact your school district for the specific qualifications you'll need. Want more help with form-fitting a resume for a substitute teacher to the school? See our guide: "6 Tips on How to Tailor Your Resume to a Job Description (Examples)"
18 of your 20 students are dressed in drab, grey shirts and pants. One is wearing a fuchsia jumpsuit, galoshes, and a balloon hat. Be the one next to him, with the bright red cashmere sweater and the perfect posture. A couple of well-placed other sections on your substitute teacher resume can let you do just that. I like working on engines. So what's the problem with animals, night clubs, and engines? But they don't prove you can do the job. Now what about this next substitute teacher resume example? Give regular talks to Spanish classes about traveling in Latin America. Teach cycling to children once a month at Big River Bikes. Wow. Flying colors, right? That'll beat lots of other substitute teacher resumes. Look for attractive activities you do already. You can add resume sections for publications, volunteer work, hobbies, conferences, or professional associations. You can list continuing ed courses, or other perks that show your education passion. Pro Tip: Consider joining the National Education Association. It looks great on a resume for substitute teaching because it shows you're serious. It can also pay off big in networking potential. Want tips for what to put in other sections of your substitute teacher resume? See our guide: "+20 Best Examples of Hobbies & Interests To Put on a Resume (5 Tips)"
Everyone says nobody uses cover letters any more. That means you'll be subbing while "everyone" is still asleep. 60% of principals won't read cover letters for substitute teacher resumes. The other 40% consider them essential. Write your substitute teacher cover letter for the other 40%. Call the principal by name. Mention a couple of the school's needs. You can get those from the substitute teacher job description, or from networking with key members of the faculty and staff. Next, showcase some achievements that prove you are the education superhero coming in to save the day. You want to show you understand their needs, and you can help. But make it a lot shorter than your substitute teacher resume. Before the final bell, wrap up with a call to action. That can be as simple as, "I'd love to talk more with you about how I can help." Pro Tip: After you send in your substitute teacher resume and cover letter, follow up. A well-placed email or phone call can be just the trick that gets you hired. Want more tips to write the best substitute teaching cover letter you can? Need some cover letter examples? See our guide: "How To Write A Cover Letter [Complete Guide With Examples]"
Adding contact info to resumes for substitute teachers is easy, right? There are some definite pitfalls that can trap you in the no-call zone. But also, add your LinkedIn profile, Twitter handle, and other social media connections. LinkedIn is an increasingly important job search tool. Make your profile shine with our guide to LinkedIn here. Pro Tip: One bad moment on Facebook can sink a dozen great substitute teacher resumes. Avoid that pitfall with this guide to cleaning up your online presence. Need more advice to make the best professional substitute teacher resume in the pack? See this guide: "How to Make a Resume: A Step-by-Step Guide (+30 Examples)"
Work your substitute teacher duties and responsibilities into your experience section in a way that fits the job description. On resumes for substitute teachers, put certifications and licenses in three places: by your name, in your resume summary (or resume objective), and in a special certifications section. Prove your substitute teacher skills in the experience section of your short term or long term substitute teacher resume. Tailor every resume you send to match the job description from the ad. Got questions or tips about how to make a professional resume for substitute teaching? Give us a shout in the comments section! A complete guide to writing a resume for a teacher. +20 real examples will show you how to describe your experience and write a professional resume. 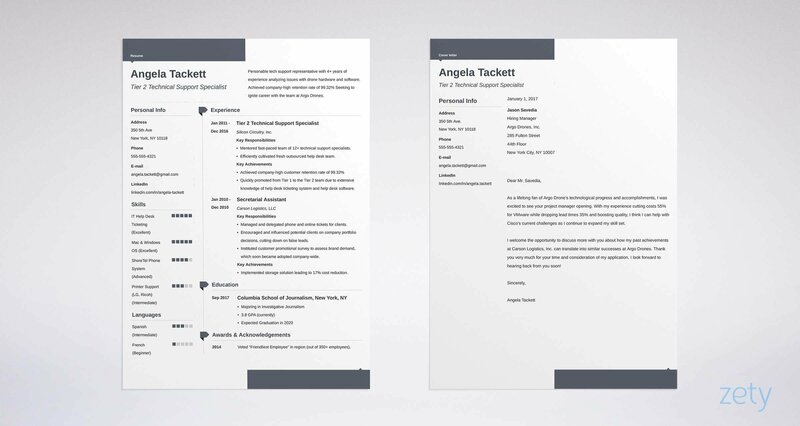 Use our teacher resume sample and a template. Read more! A teaching assistant resume sample that gets jobs. Get 20+ great examples and job-winning tips from our experts. Read our complete guide to writing a professional resume for teacher assistants: highlight your teacher aide skills and achievements, get a lot more interviews, and kick-start a new career!